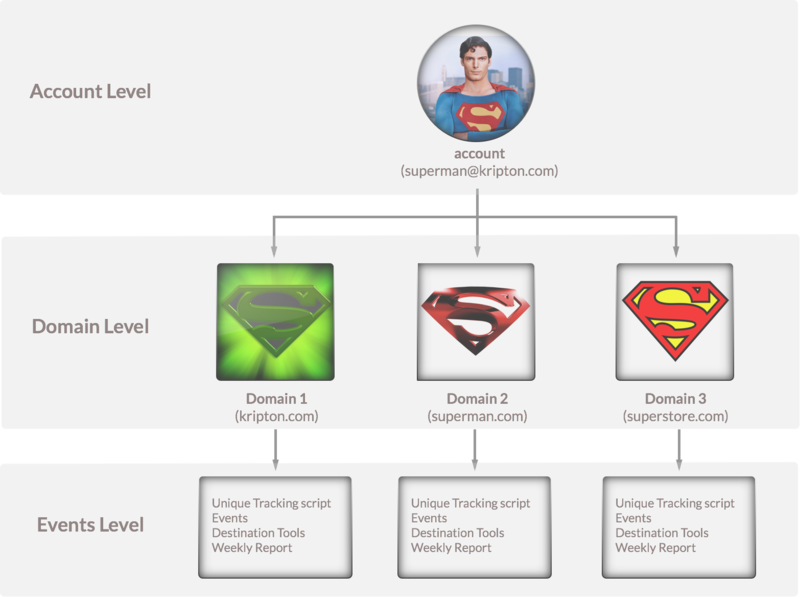 If you have more than one domain, or wish to separate sub-domains, you can create new ones in the setup menu. Each domain created have an unique tracking script so that your events won't mess up with other domains. The picture below exemplifies the account structure in PopcornMetrics. To add a new domain, just type the name of the domain and click 'Add Domain'. To get the unique script for a specific domain, just select the domain from the dropdown menu. While in the Tracker Tool, you can select the active domain from the dropdown on the top navigation bar.